2008-10-01 [All_Most PUNK]: Tyrand, I moved yours to the wiki itself instead of the comments. 2008-10-01 [Hedda]: Thanks all of you so far! [Tyrand]'s and [Linderel]'s were personal and unique. I don't really understand [sequeena_rae]'s and [Mekashef]'s though. 2008-10-01 [Kyrinn]: Isnt that called a miggle? 2008-10-01 [Kyrinn]: XD So maybe a muckle? 2008-10-01 [grayghost]: I use Elftown when the normal world gets to be to much for me!And when I am not here for that I try and return the favor that others have given to me! "May Dust Bunnys and Hot Chocolate lase forever! 2008-10-07 [Shainn]: ahah thanks. so who do we have to bite for some of that ice cream in here? 2008-10-07 [Calico Tiger]: *bites Cid* My ice cream! 2008-10-07 [Lothuriel]: Oh nos!!! Cali's a ghost!!! 2008-10-09 [Ihsahn]: Because Lerune is afk on vent! 2008-10-09 [Viking]: Uh oh...it's a biting frenzy! 2008-10-09 [Jeccabee]: *bites Cali* pthh...cat hair! dangit! 2008-10-10 [Khronos Atmosphaera]: THAT'S MY BUTTCHEEK YOU JERK! *fist* >=O!! 2008-10-10 [Khronos Atmosphaera]: How am I supposed to sit on a horse now? 2008-10-11 [Viking]: ^ Wow...someone I can't call a n00b! 2008-10-12 [Serwa]: By the way, I remember seeing a page where this whole thing got explained, that it was a well, atleast some sort of, but I might be mistaken, contest and/or stuff? There's no link on this page to the page I think to have seen anyways. If you understand what I mean. Yes. Waka has spoken. Thank you. 2008-10-12 [Hedda]: [Serwa]: Which "whole thing"? which this page aint linking back to. 2008-10-12 [Jeccabee]: I didnt know this was a contest...I was invited here. But some day or two before that I stumbled on to the page i'm asking for perchance! Can Hedda confirm this, or is this myth busted? 2008-10-12 [Aradon Templar]: You aren't thinking of the Colour contest, are you? It's a similar contest just asking for entries of colour descriptions, and if I recall, looks a bit similar to this page. 2008-10-13 [Hedda]: [Serwa]: Maybe you pressed that "Mood"-button to the right that lists your friends' moods? 2008-10-13 [Hedda]: EH, no. I read wrong now. Yes, we had some sort of Elftown description contest, I think. 2008-10-14 [Serwa]: Yarp! That's the one I meant! Thanks for clearing it out! 2008-10-15 [kay-chan]: That sounds like my typical Friday night. 2008-10-15 [Aradon Templar]: :D I must recommend the series to any fantasy lover, though I'll give fair warning that they're fairly lengthy and gripping in such a manner that, even if you manage to put the book down for this 'real life' thing people talk about, you'll be a mental wreck until the book resolves itself. But it's my personal favorite. 2008-10-15 [Chimes]: I may have to read it then. I assume my username is mentioned? 2008-10-15 [Aradon Templar]: That saying about not hurting flies almost applies to me, except that flies seem to get an exception because I am a fly killer. In any case, I don't think they were presented as really evil, but their presence simply caused problems. Almost more mischevious and amoral rather than good or evil. But again, the chimes were a relatively minor plot development, in a way. In another way they were incredible big for the plot? The series is so complicated, but it's awesome. You do realise you are now quoted in my Diary, right? That out of the blue questioning of my motives was brilliant. 2008-10-16 [Chimes]: I'm suffering an allergic reaction too. 2008-10-16 [Chimes]: I didn't know I even HAD this allergy. >.<;; Damn herbal remedy smell.. Yes, it's the smell that did it. 2008-10-16 [kay-chan]: ...uuuuuuugh I'm so behind on deadlines... STUPID REAL WORLD. 2008-10-21 [Doormat]: i herd theres no respawning in teh real werld :( (i also herd they dun liek Mudkips there D:). 2008-10-21 [Doormat]: The tragic truth of the real world. 2008-10-21 [Chimes]: Let us stay away from it. 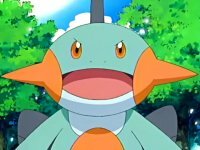 2008-10-22 [Aeolynn]: Why does everyone hate the Mudkip? I think it's cute. 2008-10-22 [kay-chan]: Mudkips remind me of deformed beavers. And only because I think that meme has run its course. 2008-10-23 [Jeccabee]: what is a mudkip? 2008-10-23 [Jeccabee]: awww is cute! 2008-10-27 [kay-chan]: Yeah, that was funny for about three minutes... >.< Then I wanted my icon back. 2008-10-28 [kay-chan]: Forum dog is watching you cyber.